William Mitchel, Black and Tan, executed for murder April 1921. 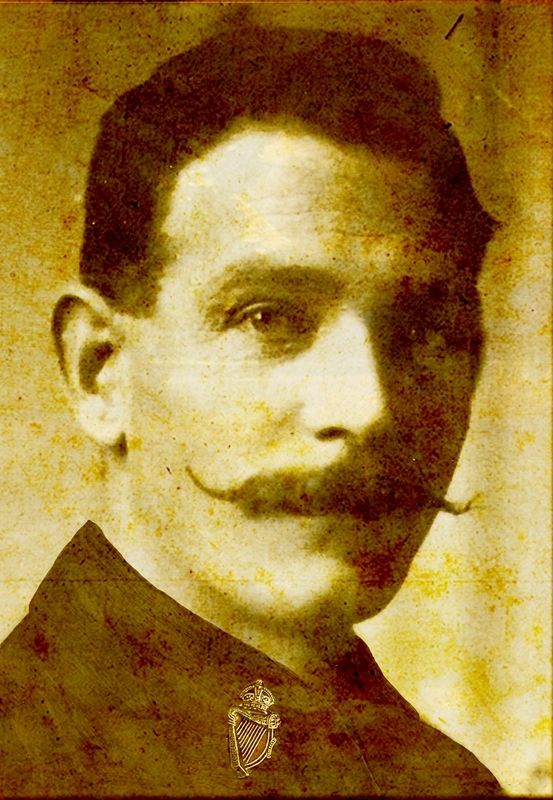 The search for the short and tragic life of William Mitchell, Executed in Dublin in 1921. By DJ Kelly. On Tuesday 7th June 1921, three men were executed at Dublin’s Mountjoy Gaol. This may have passed off as unremarkable, given that executions were coming thick and fast during the Irish War of Independence. No fewer than six men had been hanged at Mountjoy during the previous month, all of them Republicans. Indeed two of the men hanged on 7 June were also Republicans. On that day, however, the third man taking the short walk through the red door of the hang house and into eternity was not. Thirty-three year old William Mitchell was a temporary constable in the Royal Irish Constabulary – a so-called Black and Tan. In fact, he was the only member of the British Crown Forces to be hanged for murder during that bitter struggle for Ireland’s independence. At the height of the 1919-21 conflict, ambushes, abductions and killings were occurring almost daily and were perpetrated by both sides: the Irish Volunteers or Irish Republican Army and the Royal Irish Constabulary and British Army. It was a bloody war of reprisals, in which local magistrates and the constabulary were viewed as instruments of British repression in Ireland and, as such, were the targets of choice for the IRA. By the summer of 1920, almost one hundred members of the constabulary had been killed and a further five hundred had resigned, out of fear or conscience. WHO WERE THE BLACK AND TANS? By the autumn of 1920, temporary constables were being recruited in Britain to bolster the ranks of the RIC. Contrary to popular myth, there is no evidence to suggest that these recruits included a greater number of criminals than any other police force before or since. Anglo-Irish historian and journalist Brian Inglis’s retrospective description of them as ‘the sweepings of English gaols’ is wholly without substance. They were in fact ex-combatants, blooded and battle-hardened from the recent holocaust which was the Great War. Most of them had been unable to find employment upon their return to the ‘Land fit for Heroes’ and so the chance to use their soldiers’ skills, at the generous rate of ten shillings a day, presented a golden opportunity in the post-war economic depression. Their hastily assembled, mis-matched uniforms of dark green police jackets and khaki army trousers led to the Irish populace dubbing them the Black and Tans – the name famously deriving from a pack of hunting hounds well-known in Limerick. The temporary constables were posted to police barracks across Ireland to assist the regulars in maintaining the law. Without effective management however, they relieved their boredom, and doubtless also dulled the memory of their experience in the trenches, with excessive drinking and bad behaviour and soon gained a reputation for heavy-handed brutality and dishonesty. Demobilised officers too were recruited from Britain and formed into a separate RIC Auxiliary Division. Known as Auxiliaries or ‘Auxies’ and intended initially to provide an officer cadre for these temporary men, they were instead deployed into self-contained local strike forces of about 100, often assaulting, abducting and killing suspects without due process of law. All these temporary men, whether constable or Auxiliary, were referred to by the local population as ‘Tans’. Contemporaneous eye-witness accounts suggest that in fact the worst of the atrocities perpetrated by the temporary policemen were carried out by the tam-o-shanter wearing Auxiliaries. What is not widely known is that at least a quarter of the Tans were Irish or of Irish descent, for many Irishmen who had fought in the war had been demobilised in England and had remained there in vain hope of finding work. Very few accounts of the conflict mention Mitchell and those which do describe him, wrongly, as ‘English’. This paucity of information on him is forgivable however, since the official case papers were very difficult to locate. Identifying him from birth and census records also proved challenging. Two years of painstaking research eventually confirmed that William Mitchell too was an Irishman; a Dubliner. Born in the Montgomery district of North Dublin, then Europe’s largest red light district and most squalid slum area, Mitchell was the son of a south London-born professional soldier, a veteran of the Boer War, and a local Protestant girl. William Mitchell followed his father’s example and joined the army, serving King and Empire firstly in India and then in the trenches of the Western Front. Badly wounded at the Somme in 1918, he was invalided out of the army and soon found himself unemployed but with a young pregnant wife to support. By the June 1921, 22 of the two dozen Republicans who were to die by official execution for their cause had been put to death. Mitchell’s execution was probably a gesture towards also punishing Crown force’s indiscipline at a time when negotiations fora truce were ongoing. By the June 1921, 22 of the two dozen Republicans who were to die by official execution for their cause had been put to death. Thus far however, no Black and Tan had been hanged. Although there had been sufficient evidence to bring several Auxiliaries to trial for murder – one of them twice – the suborning and abduction of prosecution witnesses meant none of the accused felt the hangman’s noose. With the advent of the photo-journalist, the full attention of the world’s press was now focused on the conduct of the Tans and complaints were forthcoming from America and Australia. Other nations of the British Empire were watching the developments in Ireland with interest and indeed the British authorities began to sense that the truce in Ireland might spell the end of empire. King George V himself had intervened, incensed at the treatment of the Irish people and demanding that Lloyd George’s government rein in their out-of-control pseudo-gendarmerie and effect at least a semblance of even-handedness in their application of the law. Then, in February 1921, in the quiet Wicklow town of Dunlavin, Robert Dixon, a local magistrate, was killed during the course of a robbery at his home. The man suspected of the murder, Scots Temporary Constable Arthur Hardie, who was based at the Dunlavin police barracks, committed suicide before he could be brought to trial. His corpse was identified by members of the Dixon family as being the intruder who had shot the magistrate. Hardie’s fellow constable, William Mitchell, immediately fell under suspicion of being his accomplice in the robbery and was promptly arrested. Under the Restoration of Order in Ireland Act, martial law had been imposed on most Irish counties, and so Mitchell was subjected to a court-martial – in effect a trial without jury. Whether Mitchell carried out the killing or indeed was even present when the robbery took place is disputable. However, he and his Cork-born civil lawyer faced an intimidating battery of high-ranking military officers, each of them also a King’s Counsel. At the end of the proceedings, which lasted barely two days, and no witnesses having been called to speak in Mitchell’s defence, the British Judge Advocate General announced a ‘guilty’ verdict – a verdict against which there was no right of appeal. William Mitchell went to the scaffold on 7 June 1921 still protesting his innocence and leaving his twenty-three year old widow and seven week old baby daughter to face destitution. His conviction and execution went a little way towards countering accusations of bias in favour of the Crown Forces. Hanged along with Mitchell that morning were Republicans Patrick Maher and Edmond Foley. They had been tried twice by civilian courts and acquitted each time of the murder of a policeman during an attempt to rescue an IRA man. Their third trial, a court-martial conducted like Mitchell’s trial without jury or the possibility of an appeal, also brought in a verdict more favourable to the British administration. WHY HAS THIS STORY NEVER BEEN TOLD UNTIL NOW? When I eventually tracked them down, the Mitchell files did not appear to have been opened since the 1920s, when it seems a half-hearted attempt had been made to weed them. I imagine this was during the hasty and disorganised departure from Dublin Castle of the outgoing British administration, at the time of the handover to the new Irish government. Eye-witnesses of that event reported the somewhat less than dignified evacuation of British officialdom; an evacuation in which van-loads, and even donkey cart-loads of documents were hurriedly removed from the castle and shipped to London. It is reported there was something of a paper trail left fluttering in the wake of the outgoing bureaucrats. Yet more paperwork was burned in the castle precincts during the dying days of the old régime. Certain papers within the Mitchell file, annotated with blue pencil to highlight their importance, appeared to have been ear-marked for destruction. They had been unlaced from amongst the file contents, but were seemingly left tucked loosely within, probably by some harassed clerk. These papers contained clues as to why it was, when no Auxiliary was ever executed for the non-judicial killing of Irish citizens, the hapless Constable Mitchell was swiftly convicted and executed for a killing he may not have committed. That there was a political imperative behind the verdict in the Mitchell case is deducible from the files, as is the inescapable conclusion that the outcome of his court-martial was decided before the proceedings had even begun. My fascination with the theme of ordinary people thrust into extraordinary circumstances and finding themselves at the heart of great moments of history – Irish history in particular – led me to explore the life and death of William Mitchell. That my enquiries with the National archives in both the UK and Ireland and the Irish General Records office all met with negative results initially presented an irresistible challenge. It seemed inconceivable that a man might be executed but no official record of his trial and execution remained. My interest piqued, I pursued my research until at last I succeeded in unearthing the case papers and trial transcripts, identified Mitchell’s improperly registered birth details and also located some of Mitchell’s living family members, who generously gave me much useful personal information and photographs of the man. I decided to write the untold story of this tragic and forgotten man as a novel. In this way, I felt I could engage readers in the wider picture of Mitchell’s life and antecedents, as well as presenting the full facts of the case, thereby enabling readers to judge for themselves whether Mitchell’s execution was justified or whether this was a tragic miscarriage of justice. As Dublin formulates plans to commemorate a decade of centenaries marking the ‘Irish Revolution’ [1913-1923] and the long and painful birth of the Irish Republic, it will be chiefly the patriots and the politicians who will be remembered, not anti-heroes like Mitchell, who nonetheless played their part in these important events of history. History has forgotten Mitchell. Few of his living descendants were even aware of his fate. His remains still lie within the precincts of Mountjoy Gaol along with those of forty other common criminals. However, his resurrection, in a real sense, is likely to cause controversy one day. There is a plan, albeit shelved temporarily in Ireland’s current economic climate, for the redevelopment of the prison site. It is proposed that the ‘forgotten forty-one’ who are buried in the prison grounds be subsumed into the concrete of a retail park. However, these long dead forty men and one woman may yet rise up to embarrass the authorities. Irish press reports have surmised that no-one will protest or even be remotely interested if the only Black and Tan to be executed alongside Irish martyrs is not disinterred and given a Christian burial. I for one sincerely hope this is not the case. 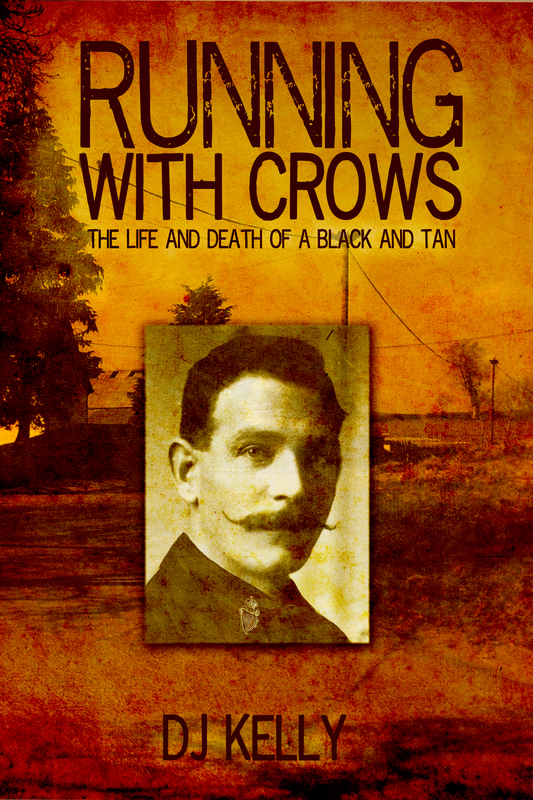 Manchester-born Irish author DJ Kelly’s novel, ‘Running with Crows – The Life and Death of a Black and Tan’ [ISBN: 978-1-78299-154-0 FeedARead Publishing & PublishNation] is available in paperback from Amazon and all good bookshops and also in kindle edition. 24 Responses to "A Black and Tan Executed – The life and death of William Mitchell"
Hi Terry. If you’re the Terry Crosbie who live in Tramore, and have Fleury ancestors, I would be grateful if you could contact me. How interesting! I had not heard this before even though my father told me practically every other story from 1916-1921 and beyond! Thank you Terry. The late father of a Belfast-based 3rd cousin of mine had often told his children he believed he was related to an executed Black & Tan, and so my 3rd cousin and I determined to explore the truth of this claim. As it happens, although they all share a surname, we were unable to establish any family connection whatsoever. However, once we had started our investigation into the Mitchell case, it intrigued us that no-one had ever uncovered the story and we determined not to give up. I suspect that writers commenting on the wider aspects of the conflict and on the Black & Tans generally could not immediately locate the papers either and, understandably, probably considered Mitchell a quarry not worth the chase. In his book on ‘the Tans’ for example, Canadian author David Leeson says ‘few papers exist’ on Mitchell. Since we had a personal interest in the case, we decided to focus our research on Mitchell, and we were amazed and saddened by what we found. My book is very closely based on the facts which emerged from my research into regimental diaries, military files, censuses and civil records. By odd coincidence, many of the places in which Mitchell found himself, especially in India and (what is now) Pakistan, are places with which I am very familiar, having lived there myself. A few names and details have been changed, either to protect innocent parties, or to make the story more credible. Sharp-eyed readers may notice I have switched around some of the ranks of the RIC officers involved too. The trial depositions show they did not always act as their rank would suggest they should have. Some of the seemingly hard-to-swallow parts of the story, especially the account of the rather hasty trial, are in fact taken verbatim from the case files. I am currently adapting the story as a screenplay, by the way, so if that nice Mr Spielberg is reading …. I was present during the exhumation of the hanged volunteers in 2001 by the then state pathologist Dr John Harbisson, constable Mitchell’s remains where buried in situ with the ten hanged volunteers , 11 bodies in the only planted site within the four grey walls of mountjoy prison. Constable Mitchell’s descendants were contacted about receiving his remains but prison authorities were instructed to leave him in place within the prison,he remains there to this day and the plot,formerly known as the ” laurel garden ” has now undergone a makeover and is a newly planted rememberance garden with a plaque fitted to the wall asking for ALL persons who died in irish prisons to be remembered, the exact burial sights of the other unfortunates who died In mountjoy prison is unclear with only a few guesses can point us in the approximate direction, whenever I bring a tour into mountjoy I always tell them of the executed volunteers and indeed constable William Mitchell who still lie’s where he was buried. Thank you for posting your information. I am glad to hear there is a nice remembrance garden within the prison. I understand there are 40 other executed ‘common criminals’ besides Mitchell still buried in the grounds and unlikely ever to be claimed. It took me 2 years to identify Mitchell’s descendants, for a variety of reasons connected with mis-registration of births etc. In 2001, when the ‘forgotten ten’ were exhumed, as you describe, Mitchell had 1 direct descendant, his daughter, but she was never contacted by the prison authorities regarding re-burial. In fact, she was unaware of his conviction and execution. I imagine the Prison Service authorities simply did not have the time to devote to identifying Mitchell’s next of kin, albeit that they said they had done so. I am in contact with the family and at least one family member considers Christian re-burial of his remains would be desirable and fitting. Do you still arrange tours of the prison? I should love to join one, one day if possible. If you have any further information and would like to contact me direct, you can do so through my website e mail: denise@djkelly.co.uk and many thanks again for getting in touch. Extremely interesting story. Surely, given the lack of evidence to obtain a conviction in normal circumstances this man is entitled to the benefit of the doubt and a posthumous pardon,Black and Tan or whatever else he may have been. I agree wholeheartedly with you, Charles. There was demonstrable behind-the-scenes political pressure to convict Mitchell and I believe that, if there had been a right of appeal in existence (which there was not, since this was a court martial, not a civil trial) he might not have been executed. Even by the standard of proof required in 1921, he ought to have been exonerated. I would love to see the facts of the case re-examined and Mitchell pardoned, if only for his daughter’s sake. If anyone knows a lawyer interested in this sort of cold case, I should be happy to share my research with him/her. Incidentally, many readers of my book seem to have been very taken with the story and have given me a great deal of positive feedback. 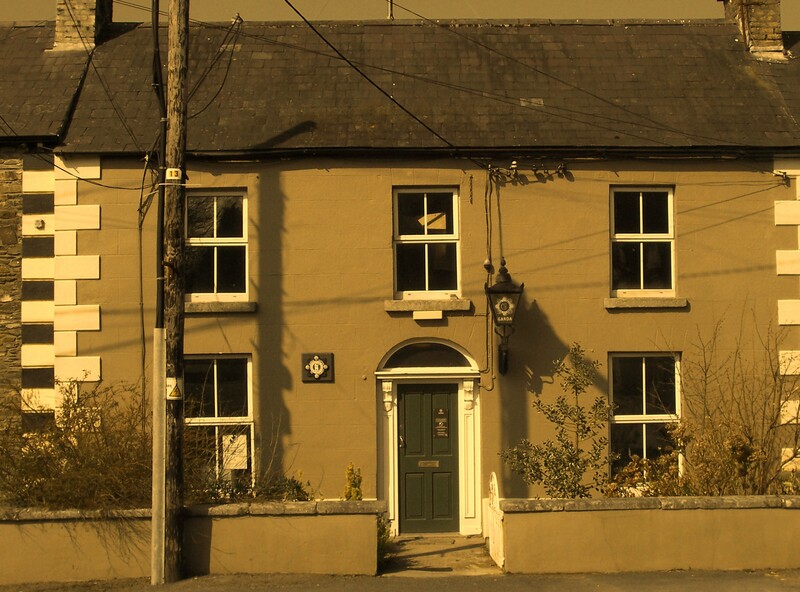 Aspects of the story were adapted, by Irish playwright Andrew Deering, to a one-act play which was performed by GLAD Productions at the Dunlavin Arts Festival in County Wicklow in June. Subsequently, I was commissioned by Tichfield Festival Theatre, Hampshire, UK, to adapt the book to a three act play myself. My play ‘Death of a Tan’ will be produced by them in Autumn of 2014. I’d love to see your article. Is it still available? At the request of my cousin, who believes she is related to Mitchell, I first started my research at Kew during the nineties and was told they could find no files on Mitchell. At that time, I was working in Africa and had limited opportunities to visit Kew but it seemed inconceivable to me that the British authorities might execute a man but leave no paperwork. I did not give up on the research. I visited Kew 3 times and it was only on the 3rd visit that a really helpful lady found two files on him, one of which would have been the one which is now on their online index (they didn’t have an online index available on the internet back then and a personal visit was necessary). Their explanation was that the files had been mis-filed and that this had not come to light previously because, they said, the files had not been requested before. Presumably they filed them correctly after my enquiry. In his book about the Black & Tans, Author DM Leeson says of Mitchell ‘no papers exist’. The files may not have been available to his researcher either. Did you manage to find Mitchell’s birth record? The incorrect registration of his birth proved a major hurdle but once my cousin had found this, by making a personal visit to Dublin GRO, I was then able to track down numerous of his family members and they have contributed a great deal to the story. It was painstaking and protracted research and I did not rely solely on the WO files, but also visited Dublin PRO, where they claimed – erroneously – that they did not have the prison files on Mitchell. In fact they do hold them. I also visited Dunlavin and managed to speak to people who knew of the case and to visit the crime scene, the former RIC barracks, etc. My research was greatly assisted also by some wonderful people, including Dunlavin historian Dr Chris Lawlor. There were a number of other files I found helpful, including WO95/1134, the diary of Mitchell’s wartime regiment, and I also found papers on his early army service which enabled me to put together his life, as well as his death. His is a fascinating and moving story and one which, I feel, is not yet ready for obscurity. So Mitchell was just one of cases I have done so I wouldn’t have looked for his birthdate etc. Obviously i wouldn’t compare my case (2,500 words) to what u have done. The report has a couple of very minor errors in it. James Dixon’s sister was not Jennie, but Kathleen May. She never married but served in WW2 as a naval Petty Officer and later formed a close friendship with a wealthy woman who wore men’s clothes and assumed a man’s name. William Mitchell was not 24 years old, but 33 – a good ten years older than Hardie, the man whose accomplice he was alleged to be. Their father’s murder seemed to have a devastating effect upon the family. James Dixon never married either and sadly the family line is now extinct. Their beautiful home and farm, which I visited at the kind invitation of the current owner, was sold off by auction along with all their furniture and domestic possessions. Another young woman in the family met a tragic end also. She was dressing on the eve of her 19th birthday when her dress caught fire and she was burned to death. Her bedroom still has a distinct chill about it. Another son of the family died tragically in his teens also. The Dixons were a terribly unlucky family. that link on their website i assume was written by then from the case i did in 2000 – didn’t know it was on there …. There were three categories of recruits to the RIC during this period, namely constables, temporary constables and temporary cadets (auxiliaries). 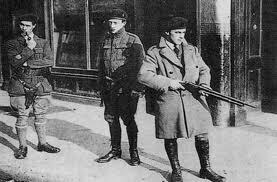 A mistake often made is to describe the black and tans as temporary recruits whereas in fact they were employed on a permanent basis with pension rights. The confusion probably arises because the auxiliaries were given six month renewable contracts. Not sure what terms of employment applied to the temporary constables or how many such men were recruited during this period. Frank, Jim Herlihy’s books on the RIC are an invaluable source to check for this sort of information. Jim is also on Facebook, so you can ask him direct. The term ‘Black & Tans’ is a very loose one, having been used by the locals as a ‘cover all’ term for both temporary constables and Auxiliaries. The temporary constables like Mitchell seem to have been given their full, dark green RIC uniforms before the Auxiliaries did, and it looks like the Auxies preferred to stick to their mis-matched uniforms, especially as their jackets displayed their former branch and rank whereas they held only a sergeant’s rank in the RIC. You are right though, in that the temporary constables were offered pensionable employment, and, though many left after Irish independence, others in this ‘gendarmerie’ went on to serve elsewhere, such as in Palestine. The recruitment register held at Kew shows a high number of deserters and drop-outs. The recruitment posters for the TCs included boot allowance, married men’s allowance, paid leave and promotion prospects etc. DJ, thanks for the reply. I was trying to make the point that many commentators treat the black and tans as temporary constables whereas in fact the vast majority of tans were given permanent employment. Temporary constables are an interesting smaller group within the larger ‘black and tan’ cohort of recruits. We know quite a lot about temporary cadets or auxiliaries but it strikes me that less attention is paid to the temporary constables. I was unsure as to whether Mitchell was recruited as a temporary constable or as a permanent constable. Permanent constables were posted to various barracks around the country to assist the old RIC. One of those killed at Kilmichael alongside 15 auxiliaries was a temporary constable attached to the Macroom Auxiliary Company. Temporary Constable Poole’s job was to assist with mess duties and he was apparently taken out with the patrol that day to relieve the tedium of a dull job. Hopefully, future studies will provide us with further information about the temporary constables who are often hidden from view in the ‘catch all’ term of black and tan. A good point, well made, Frank. I imagine the British Government’s idea with the renewable contracts was to solve the two immediate problems – the mass unemployment of demobilised troops and filling the void left by the hundreds of murdered or resigned RIC men during the ‘insurgence’. They could keep their options open about continuing to employ the temporary men, depending on what other need arose (and there was further need). Many other nations of empire were watching events in Ireland with interest and had their own independence movements waiting to rise up. I believe Anglo-Irish historian Brian Inglis did these constables a great disservice when he referred to them as ‘the sweepings of English gaols’. My grandmother used to tell me how they’d come in and steal from her farm shop. I asked her why she thought they robbed her, instead of buying her wares, since they were well paid, and she said it was because she wouldn’t sell to them – nobody in the village would, and she’d have been boycotted if she had served them willingly. I suspect there is still much documentation about deployment of the ‘Tans’ etc., which is not being released. I think the way Lloyd George’s government kept prevaricating about their precise role and leadership suggests they were largely an experimental resource. I’ve been looking recently at records which reflect the views of the (now defunct) Colonial Office who were against using heavy bombing to quell Chinese communist insurgents in Malaya (as it then was), whereas elements within the Foreign Office (in the shape of one Guy Burgess, who would later defect to Moscow) was all for it, probably hoping to fuel Russian propaganda and serve the Soviet cause. The ‘end of empire’ was a truly murky and bloody affair. That’s so sad about the Kilmichael constable, Frank. I look forward to following your tweets and blogs etc. All the best. Hi, I wonder if I could ask a question? Mr Dixon was a magistrate, lived in a big house with (I presume) an extensive farm. Chances are he was part of the Unionist establishment (most likely but not always) so his murder (by his supposed protectors) would have been scandalous for the administration of the time. Was pressure applied from elsewhere to ensure that it would not happen again. At that time most if not all establishment figures would have been under threat from the IRA and many were targeted. Have you considered this perspective? Great story by the way!! Dixon was indeed an establishment figure and was one of the Anglo-Irish community. Several magistrates had indeed been murdered by the IRA during this period, as had many RIC men, court witnesses and trial jurors. It is likely that the two intruders who entered his house late that night to rob him, only to have the robbery go dreadfully wrong, had hoped the finger of blame would be pointed at the IRA. I have visited the Dixon house and spoken with the current owner and his brother who recall Dixon’s unmarried daughter still living there alone. I saw the spot in the hallway where the magistrate was murdered and even in summer it was a very cold spot. Talented Irish theatre company GLAD Productions adapted one of the themes from my book, Running with Crows, and performed it as a one act play at the Dunlavin Arts Festival in 2013. It was a first rate performance and I was thrilled to see it on its opening night. Subsequently, I was commissioned by an award winning theatre company in the south of England to adapt the book to a three act play. ‘Death of a Tan’ will be staged by them in the coming spring. The true and tragic story of the Milltown Murder and the execution of Black & Tan William Mitchell will go on. A tragic story. Some of us would however query the word “murder” in relation to the killing of police and judiciary by the army of the Irish Republic, while ‘hanged’ or ‘executed’ is your chosen term for those killed on foot of a summary legal charade by the occupation forces. NeverthelesI would hope this (probably innocent) unfortunate can be afforded a proper burial and possibly be exonerated. My father Percy Edwards MBE the well known entertainer and ornithologist told me of a relative in the Black & Tans (this he was not proud of) is there any way of tracing this member of the Edwards family?